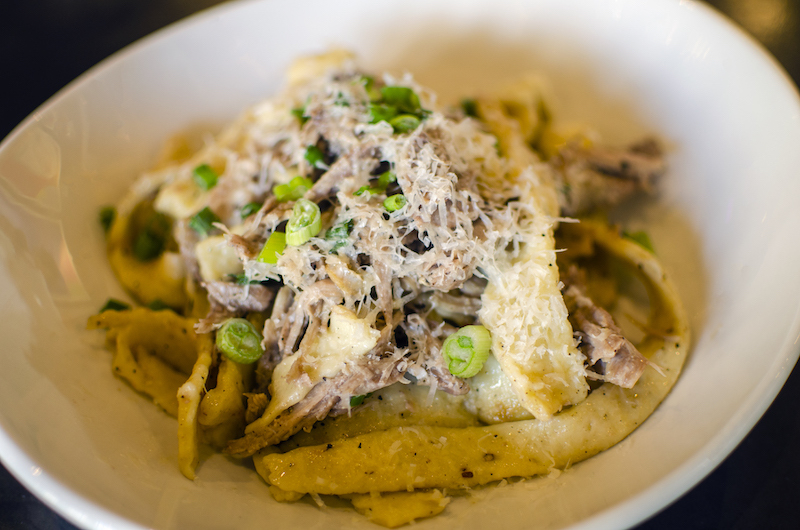 Duck confit. Handmade pasta. Spring onions. Grana Padano. Crispy duck skin. Soup or salad. 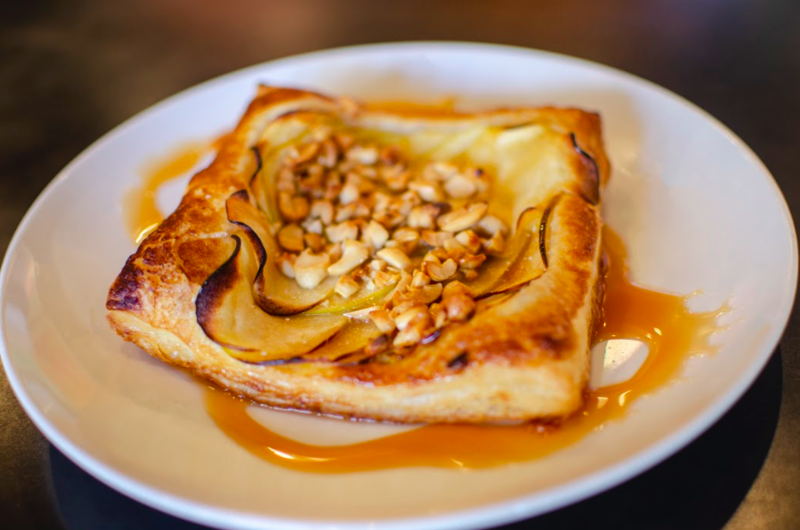 Caramel Apple Galette: Salted caramel, Granny Smith apples, Roasted Spanish peanuts. Sweet Corn Risotto with Bohlen Family Farms baby sweet corn, applewood smoked bacon, roasted Freshkie Farms beans, & topped with grana padano cheese. 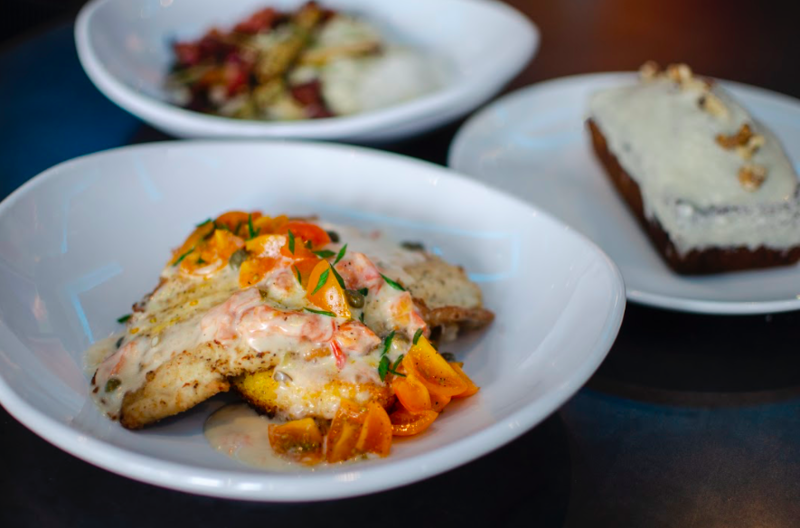 Seared Wild Trout with lemon caper cream sauce, tomatoes, & a crispy polenta cake. Zucchini Bread with Freshkie Farms summer zucchini, black walnuts, & covered in a brown butter glaze.